La Salle University is known for lots of things. Things like their business school, their art museum and their various D1 sports teams. Also things like giving back to the community every single day but specifically on Giving Tuesday (which is November 27 this year). One thing La Salle isn’t known for is their dining halls and the food in them specifically. 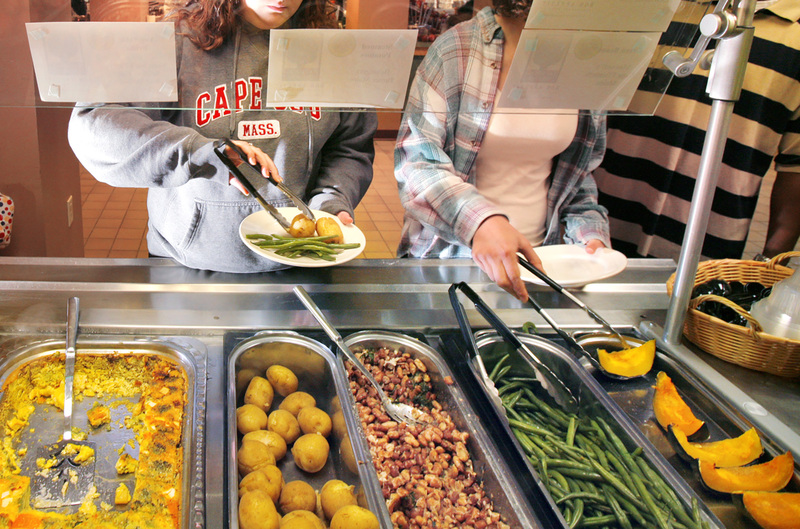 Here is what you need to know about both dining halls at La Salle and some tips/tricks to survive being on a meal plan at La Salle. Blue and Gold is located on North campus, just west of North Dorms on Olney Ave. This is the main dining hall on campus and is open every day of the week (if you live on South Campus, you need to go here on the weekends). Blue and Gold, or BnG,has various different stations to eat from. They have a salad bar, a pizza station, a breakfast station with cereal and bagels, and two rotating stations that change everyday. Not to mention, fresh fruit that is cut daily. BnG is by far the best dining hall on campus and guaranteed that most students would prefer to eat here. Treetops Cafe is located on South Campus right next to St. Basils Court and across from St. Neumann Hall. This is the second dining hall on campus and is closed Saturdays and Sundays. Treetops has many of the same stations as BnG minus the pizza station, fresh fruit that is cut daily, and the variety of foods that BnG puts out to serve. Treetops serves the same type of food all week long but rotates it every week. It almost makes you question why you have a meal plan or why you just don’t eat in your dorm. The only thing Treetops is good for is the friendly workers there and Treetops At Night, which oddly has better food than the daytime. Treetops At Night is open Tuesday through Saturday from 9pm to 1am. Don’t be afraid to mix and match from different stations at either dining hall. Some of the stations may have different foods that go well together, be creative and go for it. You may just make a new favorite creation. Also if you have an opportunity to make a sandwich, do it! Sandwiches are perfect on-the-go foods if you’re late for class or just want to take food back to your dorm. BnG offers a panini press which will make your sandwich compact and warm. The good news about both dining halls is that they both have ice cream. Ice cream makes everything better even when you’re stressed about finals, classes or life in general. Go ahead and treat yo self, you deserve it. As you can see, you need to know a lot about La Salle’s dining halls. The two are very different places with very different experiences. By far, the best dining hall is Blue and Gold. They have the best food and more things to offer. One can only hope that Treetops can get to BnG’s level.